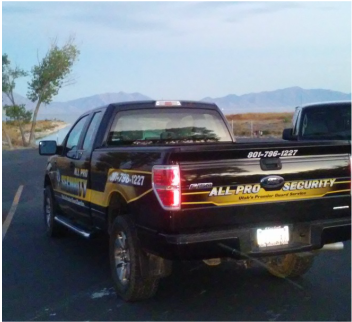 All Pro Security is your one stop for the finest security services in Utah. Our officers protect some of the top business, individuals and government facilities throughout the State. No matter your security needs, our personnel are there to assist you. ﻿​Request a quote﻿ and find out how we can help you feel safe and secure again. All Pro Security provides a wide variety of services. This makes us your all-in-one solution for all your security needs. All Pro Security operates across the state from as far north as Ogden to as far south as St. George. Please include the address and any other descriptions to help us pinpoint where you are located. What times would you like our guards to patrol your site? Order your very own All Pro Security branded ball cap or beanie!